You’re here for the cheese giveaway, right? Mmmhmm. That’s what I thought. This is the cover of last year’s fall edition of Chop Chop Magazine. Back in the day when my kids were little, which was pretty much yesterday (that’s what it feels like to me, anyway), I could have REALLY used what I’m going to share with you today: Chop Chop Magazine. I would have LOVED to have had access to this! Chop Chop is an innovative non-profit organization whose mission is to inspire and teach kids to cook real food with their families. (Can you imagine, homeschooling mama that I was, how much I would have LOVED having access to this magazine? No? Well, I can tell you, I completely WISH they’d been around when I was homeschooling!) Chop Chop Magazine believes that cooking and eating together as a family is a vital step in resolving the obesity and hunger epidemics. 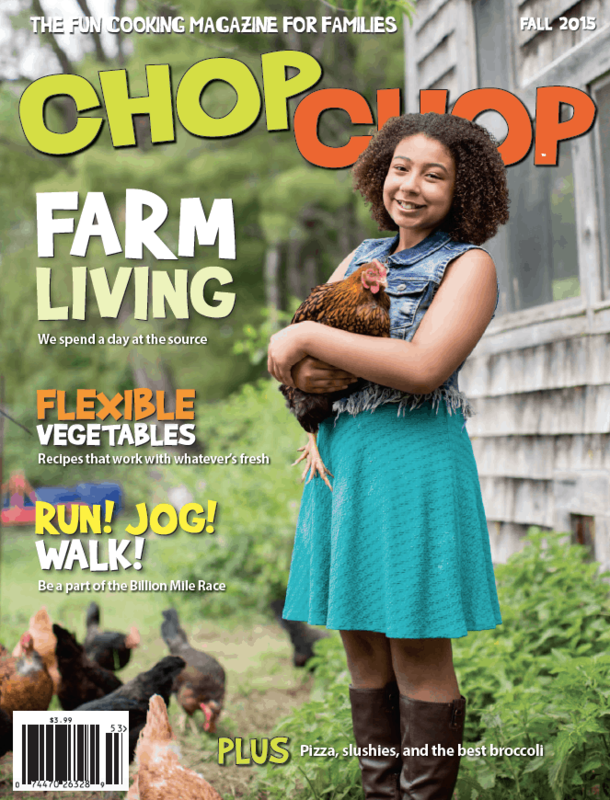 ChopChop Magazine reaches more than 2 million families each year and is endorsed by the American Academy of Pediatrics. It was named publication of the year by the James Beard Foundation, and is a two-time winner of the Parent’s Choice Award. ChopChop Magazine, the fun cooking magazine for families, and their free ChopChop Cooking club, their national healthy cooking campaign, wants to invite every family to join and pledge to cook dinner together once a month for 6 months. 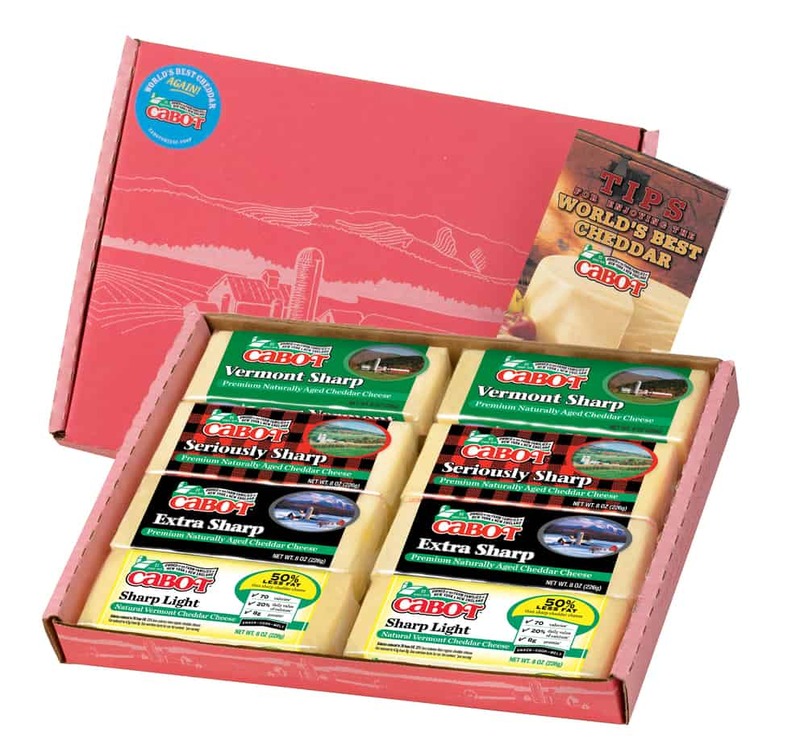 Anyhow, even if you don’t win the gift box of cheese that Cabot cheese is offering to one of my lucky readers through this giveaway, I’d strongly encourage you to visit the Chop Chop Website to see all the cool recipes and resources they have there. I’d also encourage you, if you have school age kids, (and for gosh sakes’ ESPECIALLY if you homeschool – and lots of my friends do), to consider joining their Chop Chop Cooking Club. The folks at Chop Chop magazine sent me a copy of their fall edition, and I LOVE it!!! I just linked you to it, so that you can see for yourself what I’m talking about. If you think you might be interested in subscribing to it, I’d encourage you to go ahead and use that link to check it out for yourself. In this fall’s issue, for example, they have an article that shows how to make homemade ricotta cheese. It’s not just a recipe, either. Within the article, they explain to you and your kids the kitchen science behind the recipe. This will appeal to your kids’ curiosity, and to their appetites! I didn’t make my first batch of ricotta cheese till about a year ago, as an adult. And one of the reasons I made it is simply due to my love of learning. Don’t we WANT our kids to be lifelong learners? Shouldn’t we, therefore, model for them our own love of learning? What better way is there to do that, than to learn together? I’ll draw for a winner after midnight, on Wednesday, Nov. 9th, 2016! Hopefully, by then, we’ll know who the next Big Cheese of the USA will be. I’ll contact you, via email. You’ll have 48 hrs to respond, or I’ll choose another winner. I’ll announce the winner as soon as I’ve heard back from them and secured their mailing address.